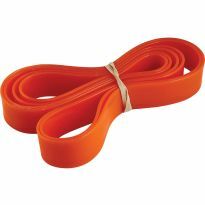 Makes the toughest rip cuts safe and easy—also includes an 1/8'' side leg for ripping thin strips! 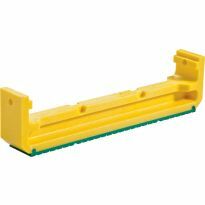 This advanced model of the GRR-Ripper boasts all of the same innovative features of the GR-100 but comes with three additional accessories (see below) that improve the control and expandability of the GRR-Ripper System. 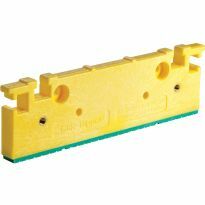 The Micro Jig GRR-Ripper Advanced 3D Pushblock (GR-200) is designed to feed your workpiece more safely and more accurately than with conventional push blocks, resulting in intact fingers, less burning and less waste. With its 3-Directional control, it gives you downward, forward, and lateral pressure on the stock for maximum control. Since it acts as a movable blade guard that travels with your hand, it provides an additional safety buffer between the blade and your hands. Whether you are making razor-thin veneer strips, building miniatures, or creating exquisite furniture you will save time, materials, and fingers with the GRR-Ripper. 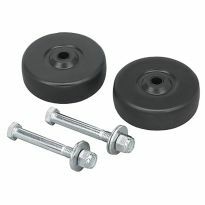 The Adjustable Spacer - This accessory adds increased gripping surface for tackling larger stock. 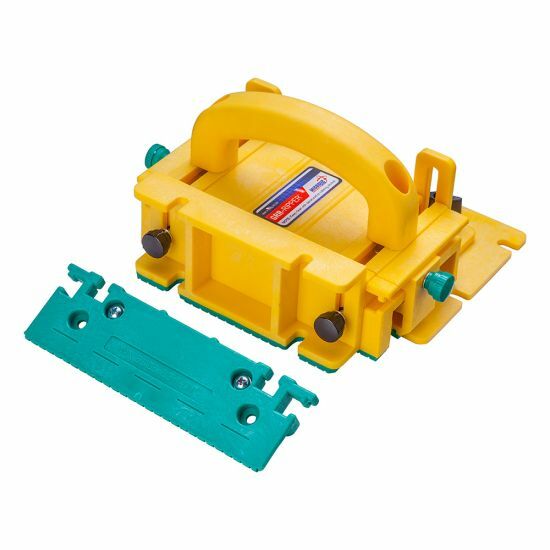 It also adds one inch of cutting width to the GRR-Ripper and acts as a secondary balance support for small stock and straight-line ripping. 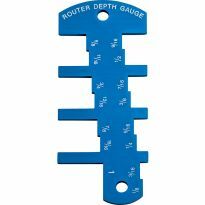 Great add-on for working on the router table, and eliminating snipe. 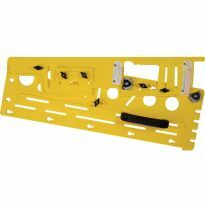 The Stabilizing Plate - The Stabilizing Plate adds a new dimension of control to the GRR-Ripper. It is particularly useful when cutting small narrow pieces of stock. Perfect for trickier cuts like resawing, bevel edging, pattern routing, and much more. 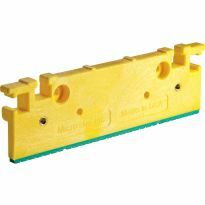 The Stabilizing Plate also acts as a secondary fence that travels with the GRR-Ripper along the left side of the stock. 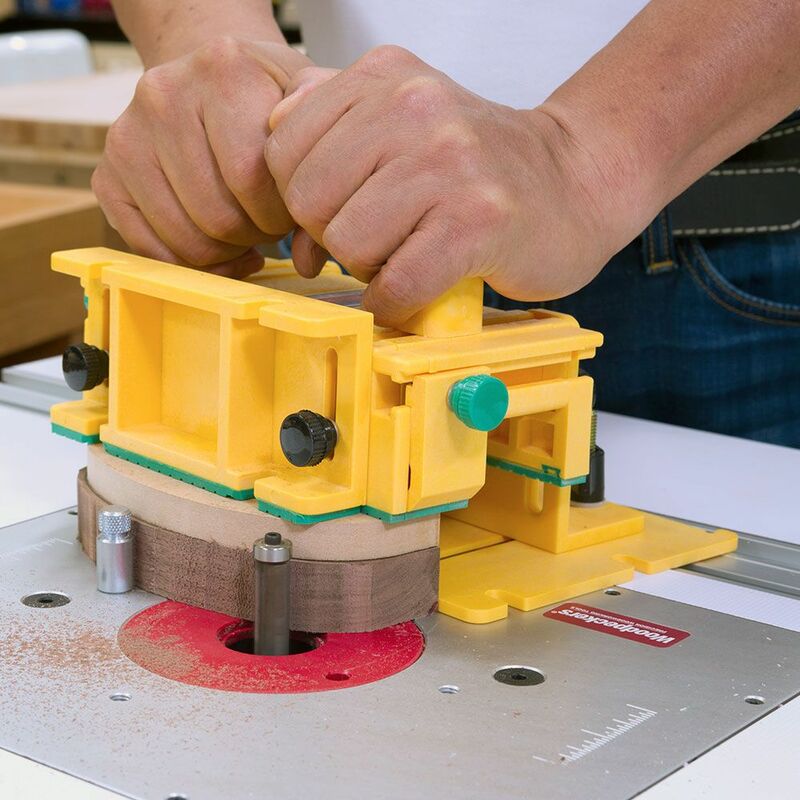 It holds the off-cut piece in its original position through the entire cutting operation. 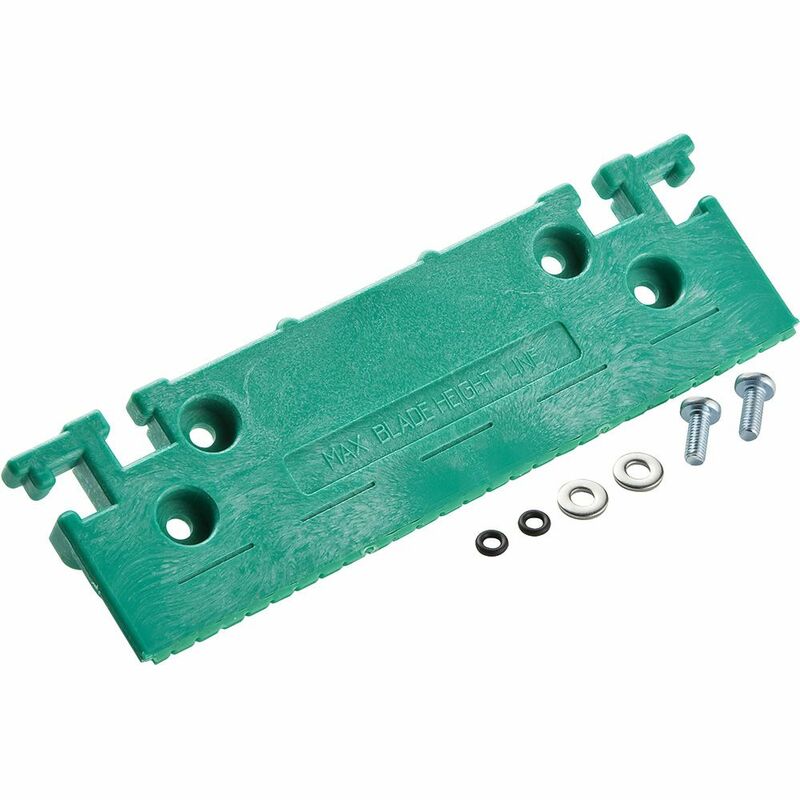 Some users call it a "Feather Board Plate," but unlike a featherboard, it exerts no sideways pressure. Instead it simply holds the drop-off piece in position as it travels past the blade, preventing binding. Watch a video demo today by clicking on the "Videos" tab above. The 1/8'' Leg lets you rip with surgical precision. Perfect for creating fine details on your project or when building miniatures. 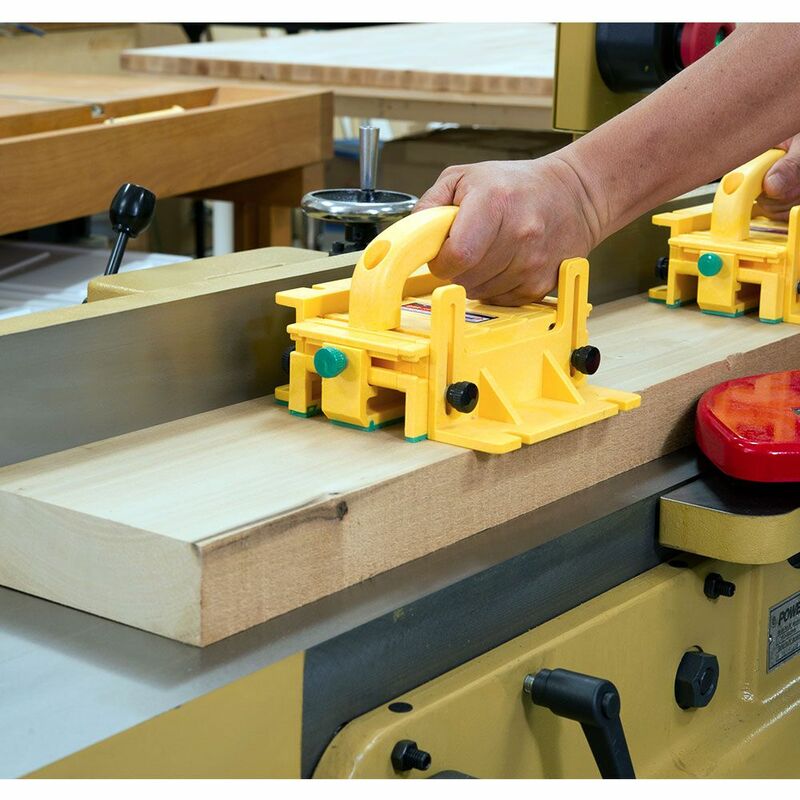 1/8'' side leg attachment easily installs to the Micro Jig GRR-Ripper® Basic 3D Push Block System (GR-100) with included hardware, creating a 3/8'' tunnel to enable table saw rips as thin as 1/8''. Tunnel height is 1/2''. it is the best tool I have ever used your hand is protected all the time I used it for about 1 hour. My friend across the street is going to buy one he was very amazed about it . outstanding. I have never used anything like it. It is the most stable devise of its kind on the market. I love it. So safe. Great product. Every shop should have some! More robust than I thought it would be. The product is well-made. Fit and overall finish is very nice. Options in regard to setup and use seem endless. 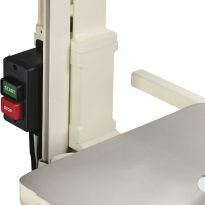 Use of the Micro Jig GRR-Ripper instills confidence while operating the table saw. To me, well worth the money. I am very happy with my purchase. I've not had a chance to use it yet, but I can see it will let me rip with real stability, safety, etc. Where have such things been all my life? Its a pricey push board, buts Its more than that, and very clever and well made. I’m not ready for it so I’m still assembling it. There is no doubt in my mind that this device is long overdue. The antiquated ideas of the past are obscure. After a friend lose two fingers a number of years ago, he purchased the GRR - Ripper. He demonstrated it at our woodworkers meeting as to how safe it is. Now some years later and noting his missing fingers each time we meet, it was time for me to add safer tools to the shop. Bought two of them and they are safer than the hand made tools. Excellent tools. My micro-Jig has saved me time on my woodworking projects. I Ilike it. It’s a added safety tool for our shop. I liked the DVD explaining the use and assembly. Gives great control of small pieces. I tried to saw off my thumb a couple of weeks ago, so I decided it was time to buy a quality device to replace my cheap push stick and push pads. This is a high-quality product and does everything and more than I expected of it. Very pleased with my purchase. Very good price and free shipping ! I just tried this out by ripping 60, inch and a half pieces each a foot long. This thing worked perfect. I have an old craftsman table saw with a factory fence that's kind of junky but this jig made it feel very safe and easy to get straight cuts every time. Wish I had this jig a long time ago. Saftey. Looking at stitches in my manger right now! I saw videos on u tube. Looks like this has much more control and safety then my homemade push sticks. Husband wanted it for V-Day! He actually picked out the "100" model. I thought this was a better deal. Hope I get it in time to give it to him V-Day! Been looking at these for a long time so I thought I better get one while I still have all of my fingers & the price looked pretty good also. 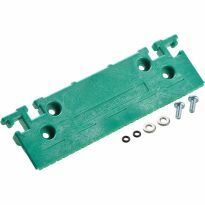 safety for thin stock and inclusion of 1/8" leg. I need a safe way to RIP thin strips on my table saw. I can use a tool like this with my table saws, bought it with gift card. Safety first! I have an older saw without a riving knife and wish to be as safe as possible! To enhance my own safety. I need to rip enough 2 x 4’s thin strips to bend around a 48 inch dia. circle and glue it back together to form a mold to pour a concrete slab. I will be building a wishing well in my front yard. 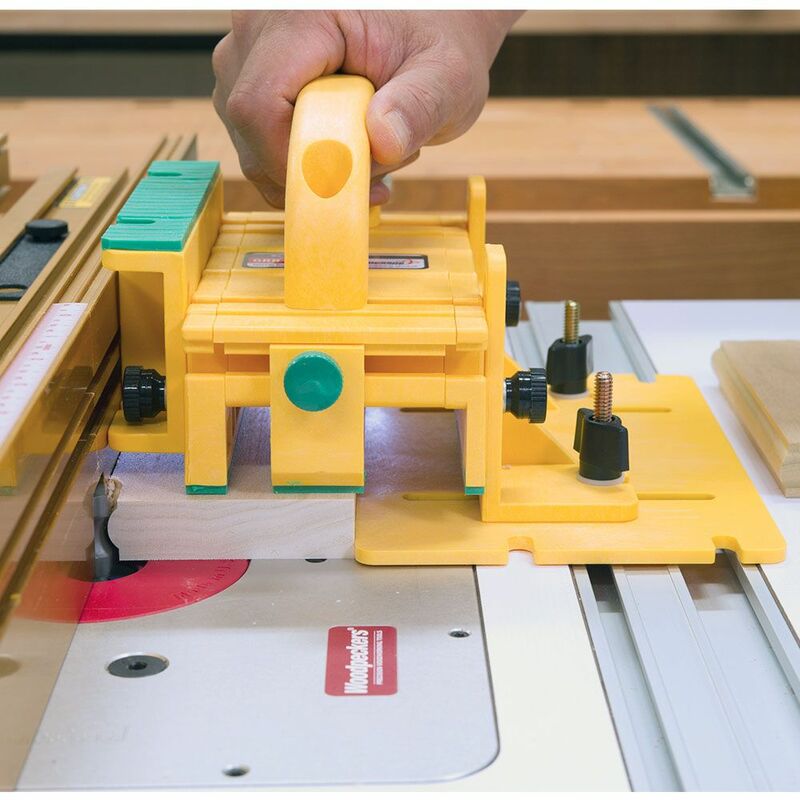 Safety and confidence when cutting or routing. I wanted a second GRR-Ripper for working longer stock pieces with safety and accuracy. I’m a retired dentist. After over forty years of getting bit, I love my fingers! I already have one and I'm getting a second one so I can "leap-frog" while ripping long pieces of wood. 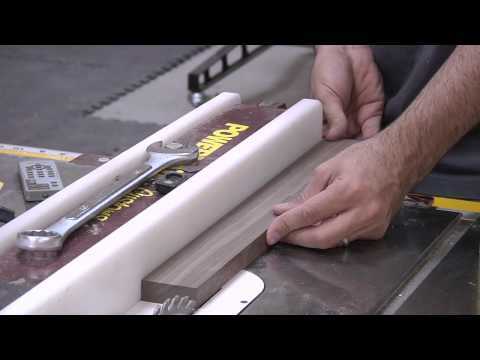 This is a great tool for safely ripping on a table saw. I was at the Wood Show in Indianapolis and watched a demonstration of this item. Very impressed with its function. Safety, safety, safety. I like having my fingers exactly where they are. 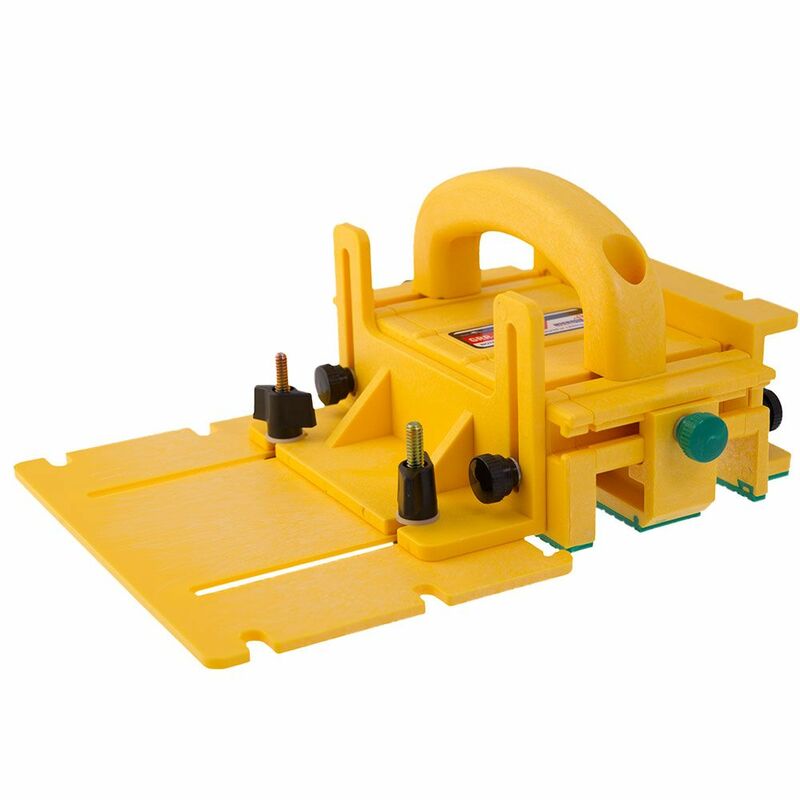 Read all the positive reviews on the Micro Jig Ripper, am always looking for devices that provide safety when working with the table saw, and it was endorsed by "The Wood Whisper". Free 1/8" side leg and safety. My wife mentioned that she was tired of me bleeding all over the house when using my table saw. So maybe this exceptionally constructed product will make her happy and me safer. 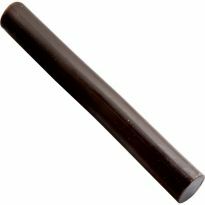 Purchased 2 of these to help rip down some longer pieces of wood for a cabinet project at my cabin. What is difference between this package and GR 200 advanced? BEST ANSWER: The grr gripper with 1/8 side leg includes the side leg compared to the gr 200 advanced. Other than this leg they are the same item. The 1/8 leg is very useful if you are making thin rips off of larger stock. It (imho) significantly increases the control, safety, and quality of this type if cut. Does this package contain the gravity heel kit? Is this the same GRR-Ripper as Micro Jig GRR-Ripper® Advanced 3D Push Block System GR-200? What is the difference between the 200 and the 420?